The vocal supporter of the Brexit campaign says he believes his job is done. Nigel Farage, a driving force in the Brexit campaign, has resigned as the leader of the U.K. Independence Party. Nigel Farage, the leader of Britain's U.K. Independence Party (UKIP), has stepped down as the party's leader. Farage was one of the de facto leaders of the Brexit campaign and a key force in driving the people of the United Kingdom to vote to leave the European Union in a referendum on June 23. The controversial politician famously 'unresigned' as party leader last May, but on Monday insisted that this time his resignation was permanent. Addressing a press conference in London on Monday, Farage said he was never a "career politician" and his reason for entering politics was to get the United Kingdom to leave the EU. "I now feel that I have done my bit and that I couldn't possibly achieve more," he said. "I came into politics from business because I believed this nation should be self-governing. I have never been and I have never wanted to be a career politician." 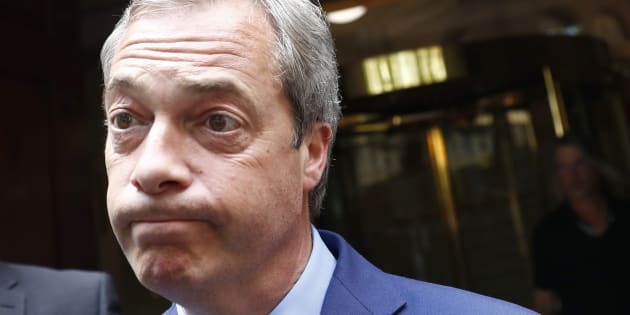 Farage's resignation as leader of the right-wing Eurosceptic party comes less than a week after gloating about the success of the Brexit campaign in a speech delivered to the European parliament in which he insulted European Union members. The announcement also follows a series of resignations and withdrawals amid the fallout from the referendum. Vocal 'remain' campaigner David Cameron stood down as Prime Minister of Britain after the decision to leave was announced, while in a shock last-minute turnaround, former London Mayor Boris Johnson withdrew from the race to succeed him as Prime Minister. Eleven members of the opposition Labour party also resigned and one was sacked over a coup to replace the party's leader Jeremy Corbyn, who campaigned to stay in the EU. Farage told the Huffington Post UK he would serve out the rest of his time as a Member of the European Parliament. "I feel it's right I should now stand aside as leader of Ukip. I will continue to support he party. I will support the new leader," he said. "I want my life back - and it begins right now." Farage resigning lol. Imagine winning the biggest campaign of a lifetime and then realise it's a bad idea.